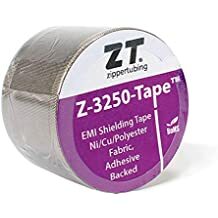 Z Coil - Lightweight Jacketing - Wire And Cable Bundling - Products - ZT | Zippertubing Co. Introducing the latest product to be purchased online directly from the Zippertubing® website. Z-Coil™ offers its users an unlimited number of applications that would be suited for it to be wrapped around. From your car to your computer, Z-Coil™ is the perfect fit! This cost-effective product is comprised of a non-expandable sleeving that is woven from polyester (PET) into a tight split weave and provides a natural coil that curls around itself. From one extreme to another, Z-Coil™ withstands temperatures from -58°F to 302°F. Z-Coil™ is currently being offered in three available sizes: ¾”, ½” and 1”, however custom diameters and lengths may be available upon request. 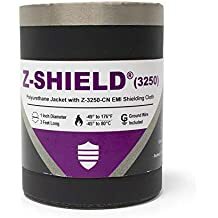 This product not only provides excellent abrasion protection for your wires and cables, but also boasts RoHS compliancy, is self-extinguishing from fire, halogen-free, and resistant to many chemicals, mildew and fungus. Cable Diameter 0.5" 0.75" 1.0"